The soon to be legally implemented ‘Citizenship by Investment’ programme, or ‘Direct Citizenship purchasing’ programme, will provide an unknown influx of immigrants to our country. While opposing factions continue their debate on whether this move by the government is justifiable or not, I ponder on the possible environmental repercussions (if any) that this scheme may have. The scheme has just been reported to expect an annual netting of beneficiaries ‘in the low hundreds’, with no cap actually instated to limit the amount of passports being sold. For the sake of it, let us estimate that our population will be increasing by 125 individuals per year. Given the fact that the Opposition has advocated to do its utmost to remove this scheme and possibly even withdraw purchased citizenship from beneficiaries, we can estimate that under the current Labour government there will be around 600 individuals being added to the Maltese population over a course of five years (up until the next election). 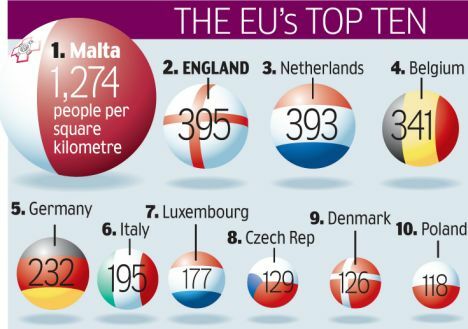 What is the relevance of these 600 individuals on the Maltese environment? With the highest population density in Europe, the addition of such a seemingly small number of people will have a long lasting impact on local environmental services. We need to envision these people as not simply tourists or temporary visitors, which generate waste, use water sources and pollute the air and sea over a short period of time. These 600 people will for the majority become permanent residents, which means that their daily environment footprint will be added to that of Malta. Furthermore, these individuals will require their own property, as well as their own vehicles and in some cases possibly maritime vehicles. Despite the fact that the following may sound excessively cynical and judgmental, I highly doubt that people who can afford to buy into this scheme will want to live in an already existing flat or house amongst us commoners. I would forecast these individuals as building their own properties in some quite and undisturbed place at the expense of virgin Maltese land. Should this not be the case, and these brand new Maltese citizens purchase existing property, there needs to be new property being built to replace the shortfall for others who intend to buy into the market. As such, I expect an increasing amount of development to accommodate for these new citizens which means diminishing untouched land for Maltese born or naturalised citizens to enjoy. I wonder if any revenue generated from this scheme will be directed towards proper environmental protection? Wishful thinking perhaps.